Rumblings out of insider sources claim the first spinoff Star Wars movies will focus on a young Han Solo and Boba Fett. According to Entertainment Weekly, those close to the project "confirmed this was the direction the development was taking." So it sounds like, at least on the outset, we won't get that Yoda origin story we were hoping for. The Han Solo story will allegedly fall into a time period between Revenge of the Sith and the very first Star Wars movie that debuted in 1977. 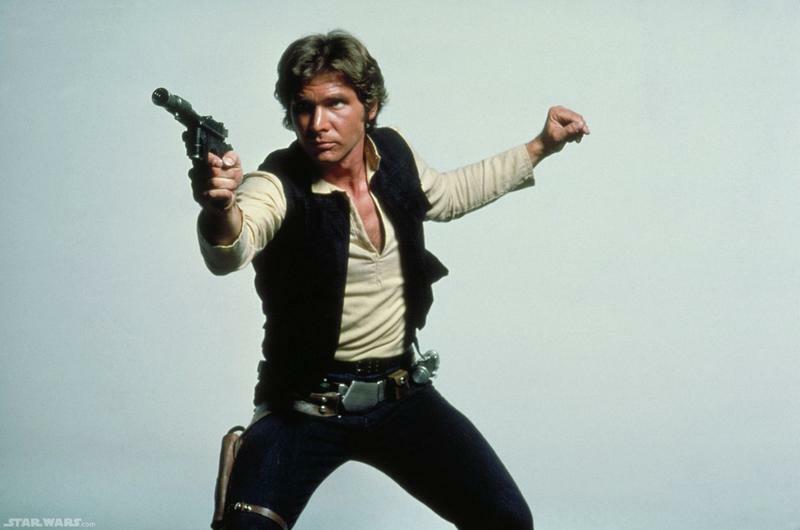 Obviously that means Harrison Ford won't appear as the lead, although EW says he might appear "as a framing device… one presumably much younger than even the 35-year-old Ford when he appeared in the 1977 original." "The Boba Fett film would take place either between (the original 'Star Wars') and 'The Empire Strikes Back," EW said, or maybe even Empire Strikes Back and Return of the Jedi. Even though the spinoff films will largely focus on one central character, EW said those involved may use one (or both) as an opportunity to show off Darth Vader along with other big Star Wars characters, including Jabba the Hutt. When Disney confirmed spinoff movies were being developed, CEO Bob Iger said Episode VII, which is being helmed by J.J. Abrams, won't be affected, and neither will subsequent episodes.